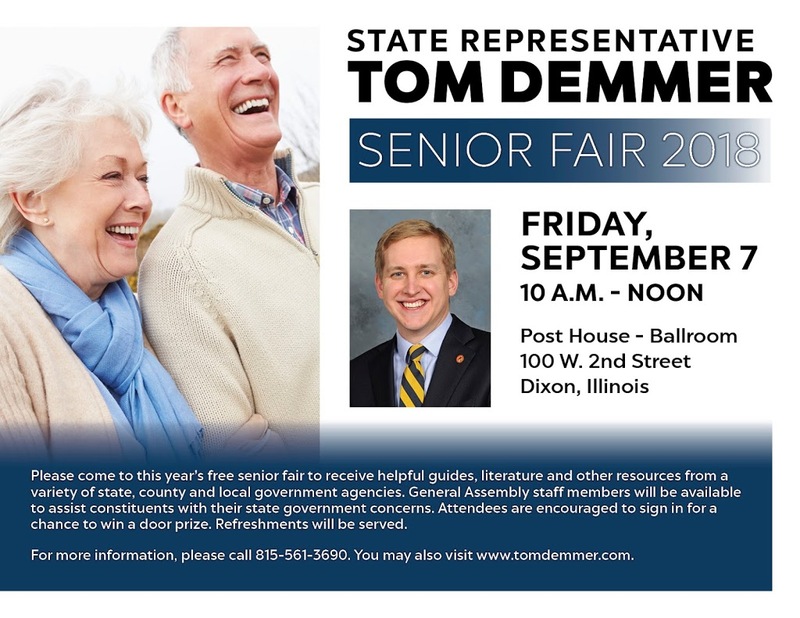 Representative Tom Demmer will be holding his annual Senior Citizens’ Health Fair will be on September 7, from 10:00am until Noon, at the Lee County Council on Aging-Post House Ballroom, located at 100 West Second Street in Dixon. The fair is free and open to the public. All attendees will be encouraged to sign in for a chance to win a door prize and also help themselves to free refreshments as they peruse the fair.